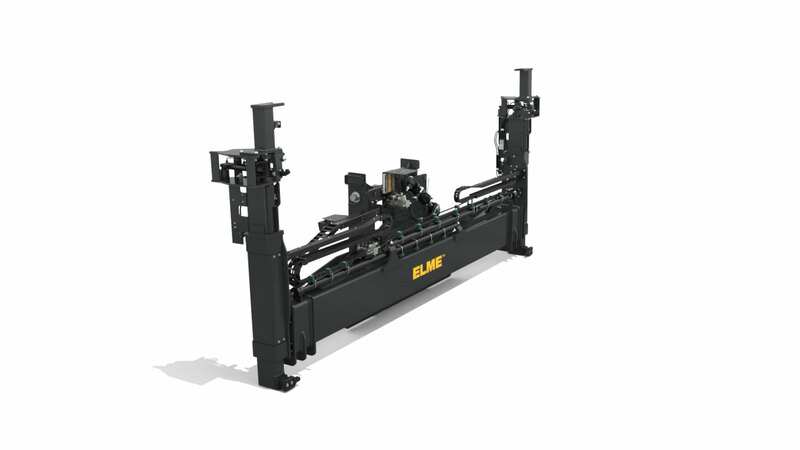 The ELME Spreader Model 584LD INNOVATION is the New Generation telescopic side lift spreader with 11 tonnes capacity for handling of two empty ISO/reefer containers simultaneously. 584LD engages and secures two containers with two horizontal lifting hooks and side clamps. The spreader is designed to be integrated in the mast of a forklift truck and can handle one or two containers in 20 to 40ft. Special for 584LD INNOVATION is that the spreader also can handle one 45ft container in 40ft’s corner castings and drive in free speed with one or two 20 and 40ft containers and in 10 km/h with one 45ft. • Two lifting hooks enter the side on the top corner castings of the lower container and two hydraulic side clamps will enter the apertures of both containers.